I love to use stories in my show, but I use them sparingly. The most popular story based routine that I developed was a story about Harry Houdini and Charlie Chaplin. It has been my favorite magic routine of it's kind and I've presented it thousands of times. It is one of those stories that is fictional but has elements of truth woven into it. 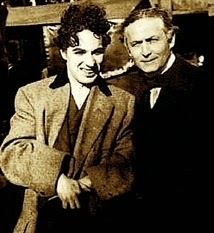 It's basically about the generosity of Houdini and how he helped out struggling performers. This much is true. Houdini didn't brag about it either, it was something he did quietly. We continue to expand the routine and the latest version has one of my crew playing the part of Chaplin as the story is told. Pinetti lived in the 18th Century, and my Pinetti lives in the 19th Century. It was an illustration of the real Pinetti that I found in a magic history book that inspired the story. 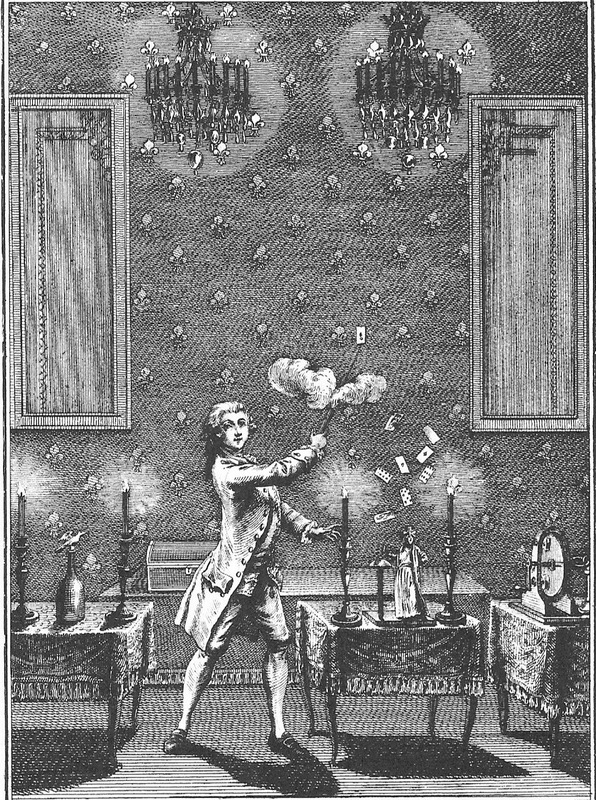 In the image to the right, Pinetti is shooting a pistol and sticking a chosen playing card to the wall in the process. As I gazed upon the image I began to see something different in my imagination. The two rectangular objects in the back became paintings in my imagination. And the pistol made me think of a robbery. So I created this story of the great Pinetti having to find work as a watchman in an art gallery and confronting thieves who were trying to steal a famous art treasure. Yes, I know, sounds like a stretch! But it plays so well and the magic that is used to push the story forward is subtle but just strong enough to be believable. The story of the Great Pinetti will return to my show Summer 2014.
guy named Horatio Green Cooke, also known as Harry Cooke. He lived in the 19th Century, served in the Union Army during the Civil War, met Abraham Lincoln and was a mentor of sorts to Harry Houdini. His life story is fascinating and perfect for my show. I don't want to give too much away because the complete routine is not finished yet. But I already expect this routine to play very strongly in the show. His life story is an ideal setting for a routine that I have used for years but always presented as a straight demonstration. By sharing a moment from the life of Harry Cooke it will give this routine that little something extra that should make it a stand out piece in my show. And the Cooke routine will also be going right into the Steampunk Illusionist Show as it is a perfect fit for that show!